November 2011 – The authors, Bolles and Hubbard, have granted the University of South Africa (UNISA) authorization to reprint 600 copies of their book. The Power of Enterprise-Wide Project Management for use by Professor PMD Rwelamila of UNISA's Graduate School of Business Leadership. 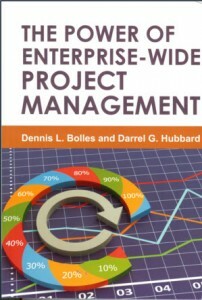 Professor PMD Rwelamila has assigned this book as one of the texts for students registered for the course "Executive Project Management (MBLEPMY)" for the academic years 2012-2013. 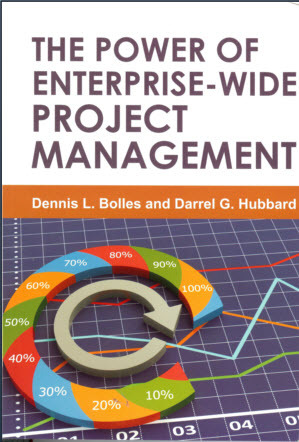 The authors have worked with the University of South Africa to reduce the price required to be charged by the UNISA bookstore to the university's students for their book The Power of Enterprise-Wide project Management. They accomplished this in two ways, by allowing the UNISA university press to be the physical printer of the book and to require only a nominal royalty. This has allowed the students to obtain this book at a significant reduction in cost to them, when compared to the United States or Europe, and places the price of the books in-line with the economic realities in South Africa..